Magnum Corporation is the entity responsible for organizing the lotteries in the portfolio of Magnum 4D. The company has its head office in Kuala Lumpur, Malaysia. If you’re interested in the Magnum 4D games and whether they are legitimate, keep on reading the following overview. Magnum 4D was incorporated on December 19, 1968. It is a private limited company and lotto organization activities commenced the following year. Eventually, Magnum 4D became a public company on October 30, 1969. On June 2, 1977, the company accepted the name Magnum Corporation Berhad. As of the summer of 2008, the entity has undergone yet another change and it has become a private corporation. The name that it is known by today was adopted – Magnum Corporation Sendirian Berhad. The company is the first one that has received the license to operate the 4D Classic game – one of the most popular and prominent lottery opportunities in Malaysia. Over the years, it has developed several derivatives that are still based on the original concept but that make 4D a bit fresher and more exciting. Since its inception, the organization has also been committed to supporting social causes, charities and good initiatives throughout Malaysia. Magnum Cares is a program that has been helping local communities since the very beginning by encouraging academic development, community services, assistance for disabled individuals and welfare programs. Magnum 4D Classic: a 4D game that has players choosing a four-digit number in the range from 0000 to 9999. Players can choose the specific bet they want to place on each entry. This means that the amount of the payout is going to vary. This level of flexibility is one of the reasons why Magnum 4D Classic is such a popular game. Keep on reading to find out more about the game and where you could find the Magnum 4D results. Magnum 4D Jackpot: the game is based on the 4D numbers drawn and it acts as an add-on. There are additional prizes for a small fee, enabling players to win much more than in the case of an individual Magnum 4D entry. Magnum 4D Life: this is the latest entry in the portfolio of Magnum 4D. As the name suggests, the prize payout is somewhat different than in the case of the previous 4D variations. Magnum 4D Life features a prize of RM 1,000 paid out to the lucky player every single day for a period of 20 years. Magnum 4D Jackpot Gold: this is a six-digit jackpot game that has players choosing a six-digit number in the range from 000000 to 999999, as well as a two-digit golden number from 00 to 19. There are two jackpot prizes, as well as five additional prize tiers. mGold: a simpler version of the previous game. Players have to choose a six-digit number in the range from 000000 to 999999. In order to claim the top prize, they have to match the six digits for the respective drawing in the exact order. Players can make a bet that they feel comfortable with (from RM 2 to RM 10) and the payout will depend on the amount of the bet. Magnum Corporation Sendirian Berhad is one of the oldest lottery companies in Malaysia and the first operator licensed to organize the beloved 4D game. Because of its long history and its commitment to lottery game development, Magnum 4D is a Malaysia market leader today. Over the years, the company has launched a range of subsidiaries, as well as various new games (check the section above). The first extension to 4D Classic game was launched in 2009 and the game was copyrighted by Magnum in 2013. Through the years, the company through its subsidiaries has been involved in an array of industries. These include the development and letting of properties, hotel and golf club operations, general trading, printing, and computer software activities. Based on the last area of specialization, Magnum 4D has been working to modernize lotteries in Malaysia and make them more readily available. Is Magnum 4D Legitimate or a Scam? Magnum 4D is a legitimate, reputable operation that has been operating for decades. All of its activities are regulated by Malaysia regulations and you can rest assured that you will not be scammed if you opt for one of the games in the portfolio of the corporation. Can You Buy Magnum 4D Tickets Online? At the time being, Magnum 4D lottery tickets cannot be acquired online. The official website of the corporation features the retail venues that operate in Malaysia and that make it possible to acquire tickets for all of the 4D variations. The agency operating hours differ, depending on whether there’s a drawing taking place on a respective day. On non-drawing days, agents tend to keep shorter hours. On drawing days, ticket acquisition opportunities are available until 7 p.m.
Who Can Play Magnum 4D Lotteries? 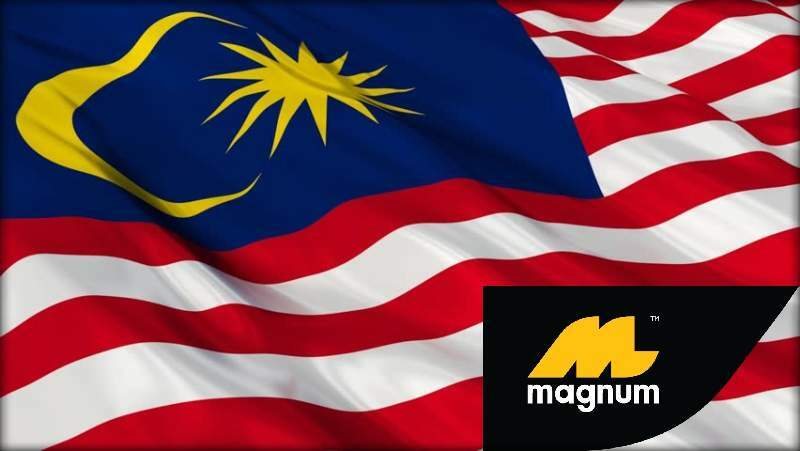 All of the Magnum 4D games are available for individuals aged 21 or older, as per Malaysian regulations. Both Malaysian residents and non-citizens in the country can acquire their tickets. There are no limitations as to the number of tickets that players can acquire. For the 4D Classic, there are big and small limits. When these limits are reached, ticket sales are discontinued for all players. Players can buy tickets for the current drawing and there are also possibilities for future purchases. An advance acquisition is possible for the coming five drawings. Anyone who is a committed player may want to choose this possibility for added convenience. Where Can You Find Magnum 4D Results? Do you want to see the Magnum latest result? Do you need the Magnum 4D past results? This information is available on the corporation’s official website. You will simply have to go to the page dedicated to the respective game and you will get both the newest results and an archive. This website provides another simple and convenient opportunity for learning if you have won anything. We have a detailed Magnum 4D past results archive. If you want to make an accurate Magnum 4D prediction, it would be a good idea to check out a database of past drawings. Through the use of such information, you can determine the numbers that will increase your odds of claiming a prize. Good luck!